Gardening books provide both new and time-honored ideas, are inspiring and motivating – here are some of the best books to add to your reading lists, for all levels of gardening experience. 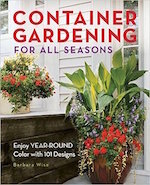 Another new gardening season is just around the corner and I love to use the winter down-time as a perfect opportunity to read gardening books (well, and catalogs, too). 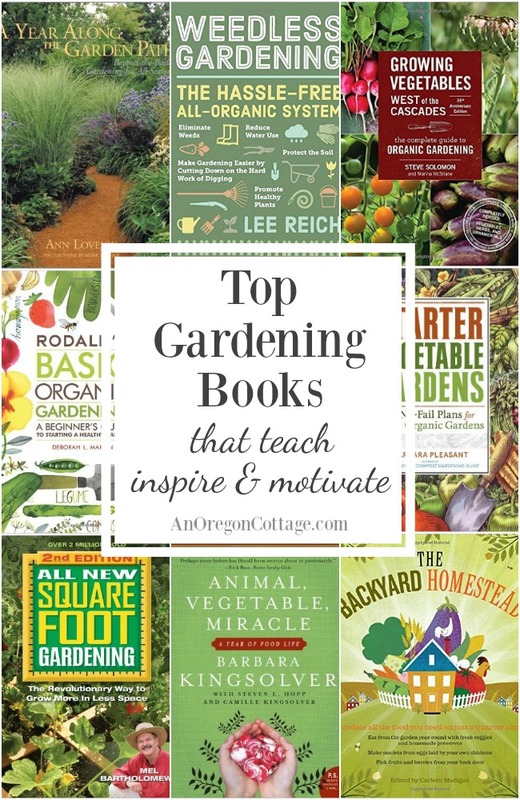 They have been instrumental in my gardening life – I can’t imagine where I would be without the books that inspired and educated me to plan & make the gardens of my dreams. I didn’t grow up gardening (other than a few years of hating to weed my mom’s lettuce patch in high school…), and definitely not organically, so books have been my resource for how to garden, what to grow, and tips to make gardening easier. They expanded my view of what was possible and gave me ideas to make our garden more easy to maintain (those weeding sessions in high school left a few scars…). Ah, where would I be without Weedless Gardening? Weeding more, of course. Even though I’ve mentioned this book before, there was no way I could not mention it again – especially because I don’t see it talked about in gardening circles very often. While I don’t do everything in the book, it changed the way I gardened forever. My no-till method was developed using principles from this book and though I still weed it’s not nearly as much as I used to before! 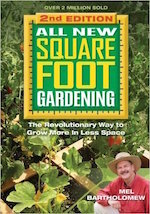 I started out gardening with this book and using raised beds and again, while I don’t do everything now that’s in the book, the raised bed principles found here influenced – and continue to influence – my gardening. 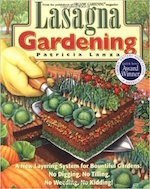 Lasagna Gardening: A New Layering System for Bountiful Gardens, Patricia Lanza. 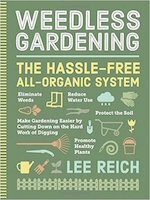 This is the other book, along with Weedless Gardening, that encouraged me that you could grow vegetables without losing the seedlings in a sea of weeds – and not spend countless hours trying to free them from those weeds. I have used the layering principals to start both vegetable (and flower beds) and they produce healthy and beautiful produce and flowers. If you’re interested in no-til, easy-care gardening, grab this book (there’s also a small-space-container version, too). Carrots Love Tomatoes by Louise Riotte. 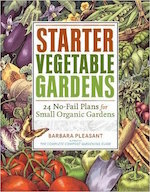 Companion planting and organic raised-bed gardening go hand-in-hand (well, along with crop rotation and succession planting – so hand-in-hand-in hand…) and this guide is the classic introduction and reference. 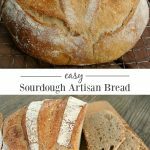 I loved, loved this book – there is so much information packed in here! I read it from cover to cover when I first got it from the library and it immediately went on my “have to buy list” because I knew I’d want to refer to it again and again. And I have – it opened my mind to all I could accomplish in a small amount of land. 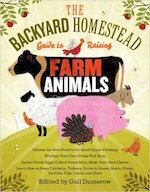 I’ve always had a dream to raise a few different farm animals on our property – I’m not sure I ever will, but if I do, this book provides a great overview as well as some details for the different animals and what they require. This book has so much good do-it-yourself information on all the animals you can raise on small acreages and is another of those books to buy and keep for reference. 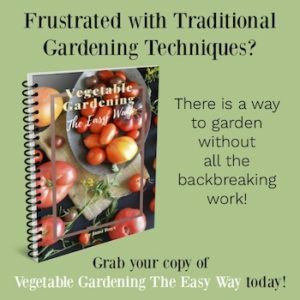 This author is one of my go-to authors for garden tips and though it’s marketed to beginning gardeners, I found a lot of great tips that I had missed and really like the garden plans, since it gives me ideas for my gardens. If you are just starting , though, this is a great book – you will find most of what you need (like the reviews on Amazon state, too). Ah, I have a soft spot for this author since she practically introduced me to the idea that I could create a beautiful garden on a small city lot in Portland with a toddler in tow – even before I had a garden. I read this book like a novel, (as well as her first two books which are out of print now) because she is very real, funny, and shares how she started gardening as a mom with toddlers and what she learned along the way. This book is is one of Anne’s later books that’s packed with garden know-how she gained over the years- luckily with her trademark humor intact. 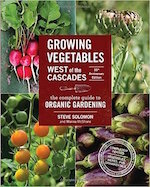 This author has so much knowledge about growing vegetables in the maritime Pacific Northwest that I have recommended this book countless times. 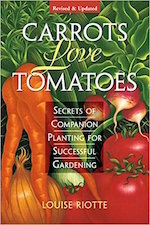 Because of this book, I dared to plant tomatoes earlier under cover and grow more fall crops. I use the recipe included in this book to make my own organic fertilizer. There’s tons of information in this, so if you live west of the Cascades (or in a maritime climate like ours) this book is a must. 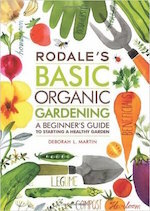 This is a newer version of a Rodale book I read early on my organic gardening path and their books are a trusted resource I still rely on when I have questions. If you’re just starting out or want to change over to organic, this book is full of great information written in a clear manner. I also use their Garden Problem Solver quite a bit, too. It’s organized by crop, so I can just look up “potatoes” to find out what’s eating the leaves (flea beetles), and what I can do about them (use a row cover in early spring, apply organic control if still around later). I was so surprised with this book! I’ve only known Barbara as a novelist and I wasn’t sure what to expect from this memoir other than I usually enjoy her writing. This book has stuck with me for years now – it’s very inspiring, showing how we can live eating close to home, the trials and tribulations of growing our own food, and what we can learn about ourselves from living sustainably. Oh, and I found some new vegetable varieties to try, too. This book is written by the co-owner of one of my favorite nurseries, Nichols Garden Nursery (which happens to be just north of me in Albany Oregon), so I knew it would be good. 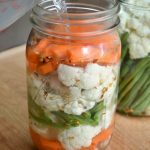 There are always room for containers in a gardener’s life and if you’re short of land, this shows how you can grow edible foods in containers successfully. 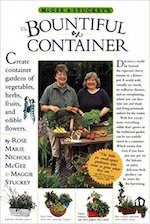 They share the types of containers, how to pack them and what varieties to grow, among other things (like recipes!). I grabbed this book from the library and found it helpful to breath a bit of new life into my flower pots. There are specific plants and diagrams listed, but I have a hard time finding the exact plants for things like this where I live. I was mostly inspired by the combinations and the different colors schemes as well as the way the containers where planted. What gardening books have you enjoyed? Note: this article was originally published in February of 2013 with just 6 books listed. 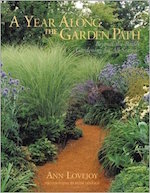 I’ve rewritten it and expanded the list of books to offer more reading for your garden pleasure! I am a garden book addict and have many, many books. Another later one by Steve Solomon that is worth checking out is ‘The Intelligent Gardener’. If you are an avid vegetable gardener this is definitely worth a read as it describes how to keep up your soil’s mineral content. Oh, I will have to check that out, Elaine – thank you for the recommendation! I will have to check out some of your recommendations. The $64 tomato by William Alexander is a fun nonfiction story about a man growing a garden and all the adventures along the way. Oh, I do think I remember that, Ellen – I think I got it from the library. It was all about how much he ended up spending to grow that tomato, right? These sound like inspiring reads, thank you. I might suggest one to you that I read a few years back. 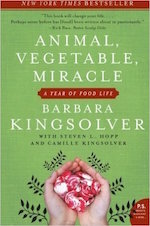 The author escapes me, however I’m thinking it might be Barbara kingsolver? Anyhow the title is “Animal, Vegetable, Miracle”. It is great one for sustainability. 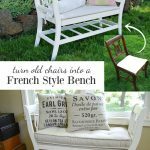 Enjoy your late winter garden planning! Oh, yes, I loved that book, Marci, and got some great new varieties of vegetables to try from it, like silvery fir tomato. It’s very motivating, isn’t it? Oh and my favorite gardening book is, “Sustainable Gardening: The Oregon-Washington Master Gardener Handbook.” You do have to take the class to get the book, but it is worth it’s weight in gold! And, even better, you will become a certified Master Gardener for Oregon! Contact your local extension office! Just want to give you some encouragement about being a ‘Chicken Whisperer’. I’m a born and bred city slicker from the OC who moved to Klamath Falls a few years ago. I’ve always wanted chickens, but I was always ‘restricted’ by city regulations. My husband bought a small coop at Big R and modified it so the girls would have a small run, since we didn’t really know what we were doing. We kept the babies in our office and played with them, let the dogs (Yorkies and a German Shepherd) get used to them, and kept them warm from March-May. Then, we took the plunge and let them into the coop! They have been giving us eggs since August, and are the sweetest hens on the planet! We did fence off with a doggie fence our garden (we only lost the kale and swiss chard- oh boy, they LOVE chard) and let them free-range in our little backyard all summer and fall. In the winter, when it started to snow, we put a red light in the coop (lizard light at 75 watts) and a water heater, and they are just fine! Still laying 1 egg per hen every day! We do have a fenced yard, and put them away every night, and made sure the coop was predator proof, but it’s been the best experience! They all come when we call them by name, and they love sitting on our shoulders, or pecking at the back French door to come into the breakfast nook…just for a little while. You can do it and most communities let you!! Best wishes and hope you get some chicks soon! 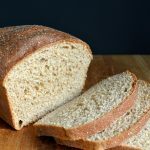 I highly recommend Backyard Chickens website for advice and information! Since I’ve been gardening since the 70’s there are very few new gardening books that I buy, and so many of my favorites are out of print I think (the original PBS Victory Garden book by James Crockett, The New Kitchen Garden by Anna Pavord). I re-read Jeavons “Grow More Vegetables” regularly — I’ve noticed it has been re-issued and is enjoying a resurgence of popularity. “Lasagna Gardening” is another one I like a lot. Last year I purchased “Starter Vegetable Gardens”, which is chock full of good info, and “Seed to Skillet”, which I really like. Also “I Garden Urban Style”. But really, my most favorite is “Toad Cottages and Shooting Stars” by Sharon Lovejoy (specifically about gardening with grandchildren — or any children, really). 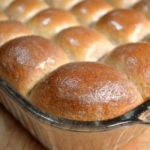 It’s good to hear you thought Starter Veg. Gardens was good, Diana. I really was impressed with the reviews on Amazon, but of course it is Barbara Pleasant. 🙂 I love your favorite – I’ll have to look that up. I have lots of favorites ~ either for beautiful pictures or serious information, but two that you might not see everyday and are lots of fun to read are: Mrs. Greenthumbs How I Turned a Boring Yard into a Glorious Garden by Cassandra Danz, and another fun book called Theme Gardens by Barbara Damrosch. Is Weedless Gardening similar to lasagna gardening ? I’ve had good luck with adaptations of lasagna gardening. I’m renting and have some limits on the amount of money I spend gardening here. Building raised beds and filling with compost would be great. I have done that in the past. It does add up though. I loved Louise Riott’s books. The most outstanding thing to me was what a small space she had. She lived in a trailer / mobile home and just had the ground around her place. Everything was planted ! She grew all of her fruit and veggies. Plus roses. Ya gotta have roses ! Oh I liked Lasagna Gardening, too, Christie. 🙂 There are some similar ideas, but Lee Reich goes into detail on how to have a yard and garden with minimum weeds. It’s the place I first read about using newspaper and mulch on our planting beds in the spring. 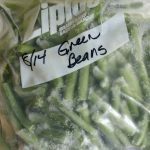 He even has a section on using cut-open compost bags to grow a “raised bed” garden, which might be a good idea for a renter like you who doesn’t want anything permanent. Oh, I tried the compost bag thing … I was in a different rental house then. The only place with full sun was by the driveway. The HOA didn’t like how it looked ! Too “trashy” ! Ha. It really bothers me to see so many perfect lawns when so many need food. It seems a waste to me. 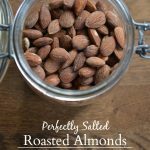 Have you read http://www.onehundreddollarsamonth.com ? The blogger, Mavis, is hysterical! She has a big yard and decided to see if she could grow 2,000 lbs of food last year ! What ?? She is going to try and do even more this year. Most of it is donated to food banks, gleaners etc. When I first started reading, I didn’t get that she was donating. I thought she was trying to can it all ! Ha, that is funny, Christie, about the HOA. 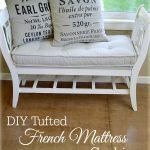 🙂 Thanks for the blog recommendation – I love reading things like this! 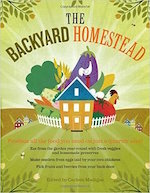 My favorite is Pat Welsh’s Southern California Organic Gardening. If you live in So Cal I highly recommend it. ( Jami, it won’t work for you. 🙂 ) It’s set up as a month-by-month gardening book.